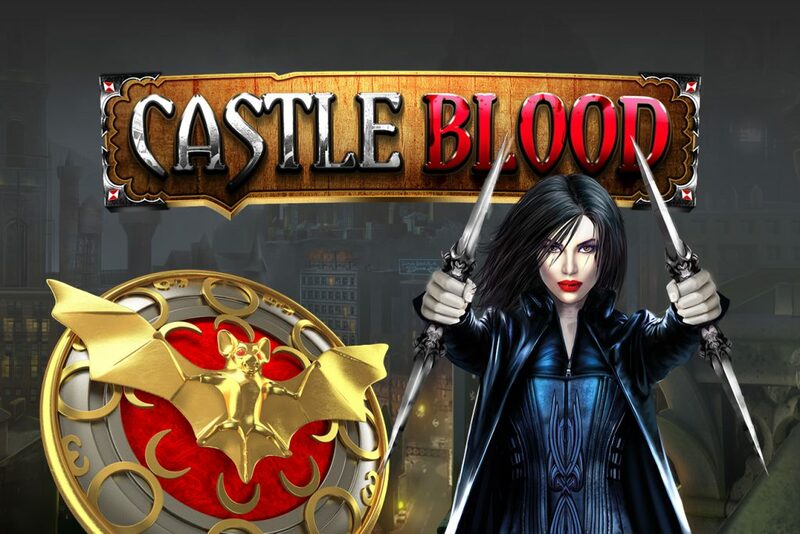 Be ready to fight the vampires and werewolves in the CASTLE BLOOD slot game. The 5 reel – 25 pay line game keeps on entertaining you with its stacked symbols structure. 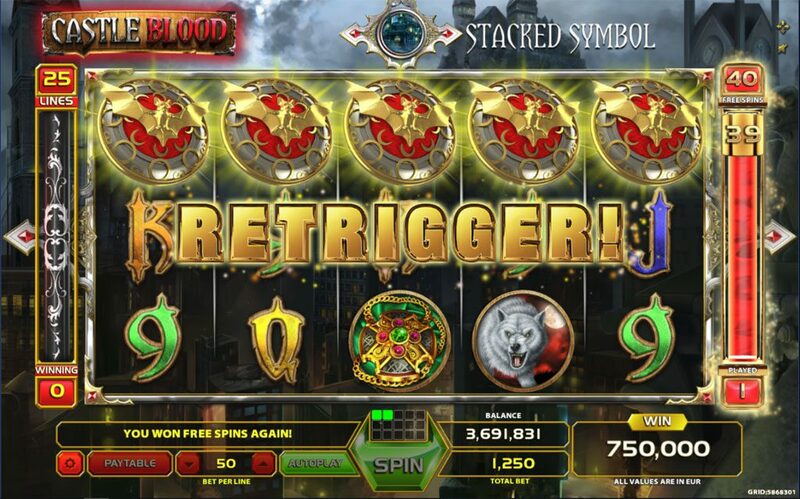 Any 3, 4 or 5 Scatter symbols trigger 8, 12 or 20 Free Spins respectively. 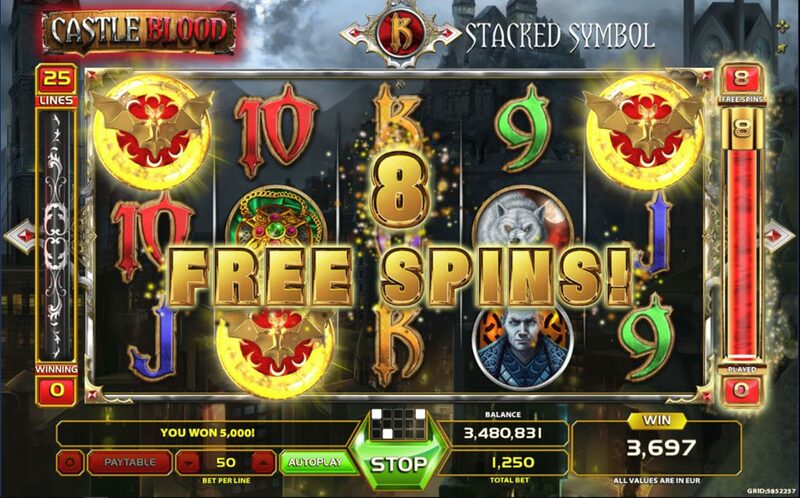 Any 2, 3, 4 or 5 Scatter symbols award additional 5, 8, 12 or 20 Free Spins respectively during the bonus feature. 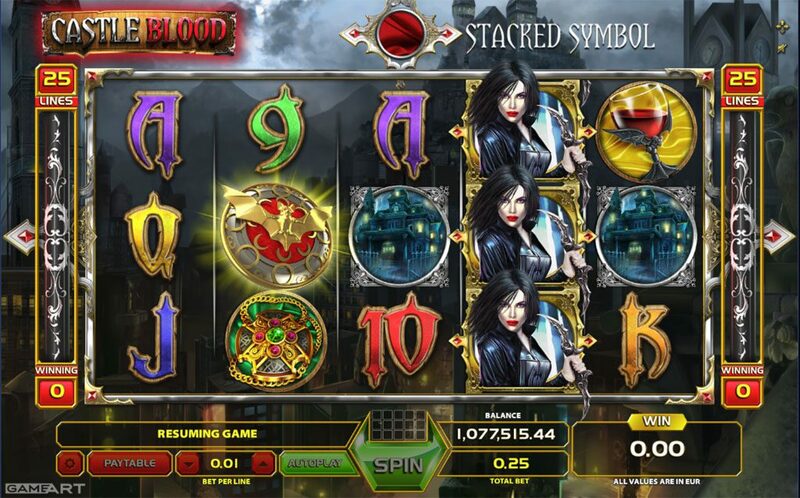 During Free Spins multipliers are added to wild symbols. Each multiplier that substitutes in a win it will multiply the win by x2, x3, x4 and x5 respectively. Let the bloody wins begin!